Home gardening had become the rage of people across the globe. 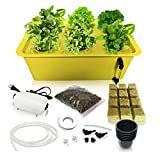 The emerging trend of indoor hydroponic gardening had open the news ways of planting your favorite fruits and vegetable without the restriction of climatic conditions. 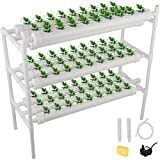 A manufactured growing medium with nutrients and water is used instead of soil to grow the plants in hydroponic gardening. 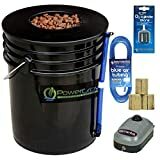 It ultimately creates healthier and faster growing plants. It is an efficient, economical and sustainable way to grow the plants as compared to a traditional soil garden. A fibrous material anchors the roots of plants and managed the proper retention of air and water through its pores. High quality nutrients along with the fertilizers are also required for the nourishment of plants and accelerating the growth. A mixture of calcium, magnesium, sulfur, iron, zinc, manganese and cobalt is used to provide proper nutrients to plants. A frequent check of PH level of plants is important to know the growth rate, the fluctuations in PH level may harm the plants to some extent. Another important factor is the amount of light and air required by plants. Different species of plants required different quantity of light, depending on the right spectrum of light, you can purchase the specified lights from the market. The water pump sprinkles the water on the plants after regular intervals, it does not allow water to clog on the growing tray and prevent the rotting of the roots. The fruits and vegetable grown through hydroponic gardening taste better than those grown under the soil. 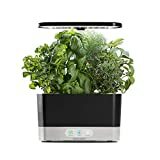 You can grow the plant of your choice at any time or any season. 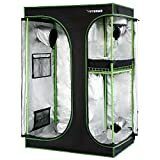 This way had attracted many Americans and they are curious to have their own indoor hydroponic garden. 1. 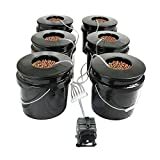 An inexpensive method of growing plants that gives you better result over a short period of time. The running cost is quite lesser than the cost it gives after selling the vegetables and plants. 2. There are rare chances of unproductive yield and damaged crops, the condition is an appropriate place with proper controlling of water. 3. 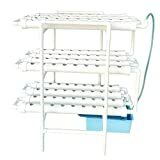 The maintenance cost is really reduced in hydroponic growing, it requires no weeding and no watering. You just need to pluck out the fruit when grown. 4. It gives you yield over the year. You can sell off season vegetables on higher price and earn extra money. 5. They can be grown at any place, basement, garages, storeroom, living room, roof tops or greenhouses. You do not need to worry about providing them a specific room.